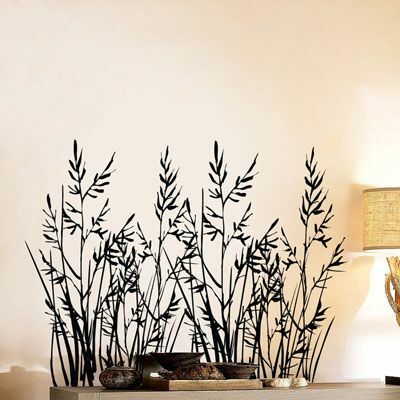 You will receive TWO SETS (as shown in the picture) of these wild grass wall decals. Each bunch of grass measures 22" wide by 34.5" tall. Shown here in Dark Brown but available in ALL of our colors! We were really nervous about doing this. 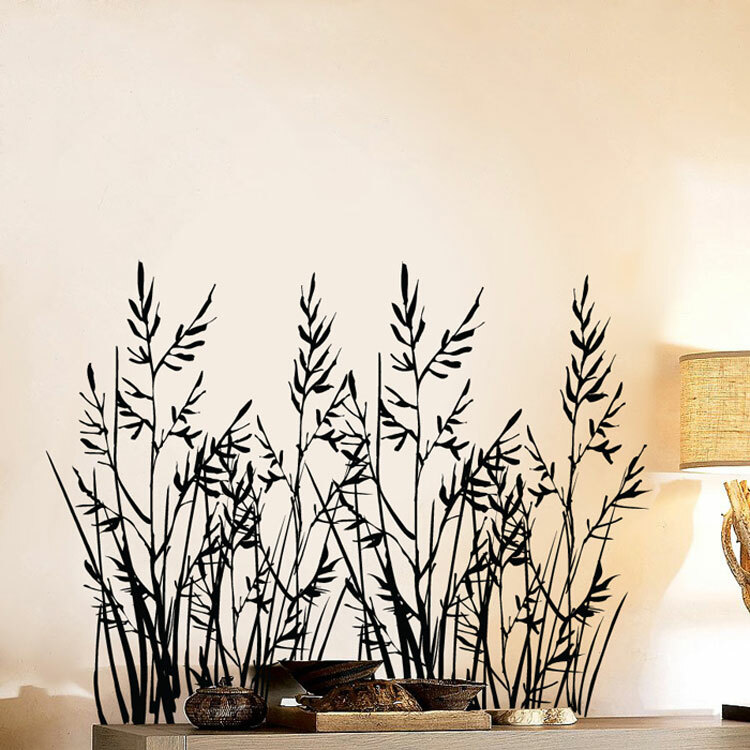 When our decals arrived we were shocked at how fun and easy it was to apply them. We cut them out and hung them on the wall in different ways using painting tape first to decide exactly where we wanted leaves and blooms. So much fun! Everyone keeps telling us how terrific and professionally done it looks. We LOVE the Pretty Monogram with Scrolls that we purchased for our daughter's nursery room. It turned out perfect and just like the picture. So much nicer quality than I thought it would be for the price! We got the Mona Lisa Face and it is SENSATIONAL! It was so easy to put up, and was bigger than I expected. I will definitely order again. Customer service=A+++ I love these decals. I ordered the bubbles/circles in hot pink, green, and aquarium blue to match my 10 year old daughters new bedroom. One black wall, three lime burst green walls. I put all the different color bubbles on the black wall and it has turned out GREAT! a few pink and blue scattered on the other walls. Perfect!!! Thank you Dali Decals. I will be back! !